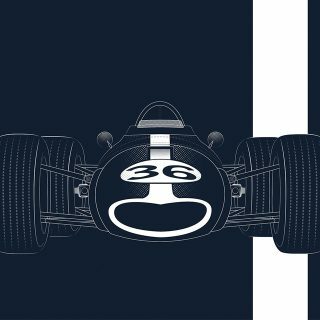 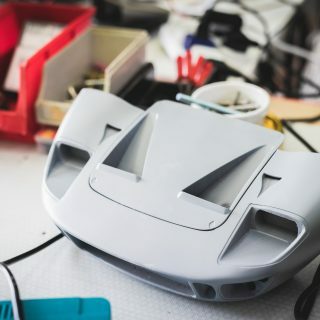 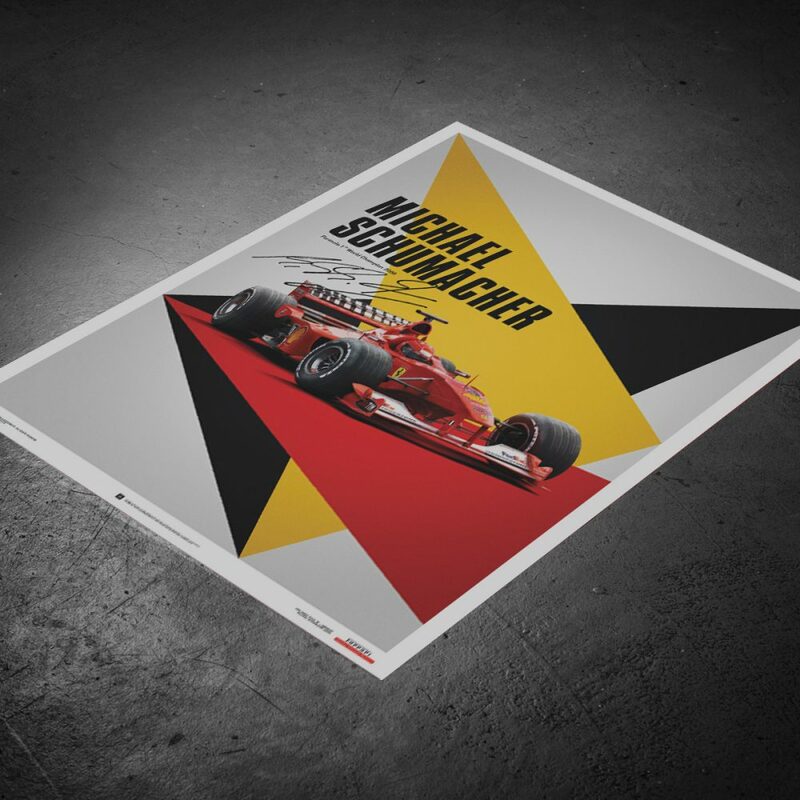 Petrolicious has been proud to partner with the artists behind the Automobilist brand over the years, and today we’re happy to announce that a new set of Automobilist posters, along with a special print, have been added to the collection available in the Petrolicious Shop. 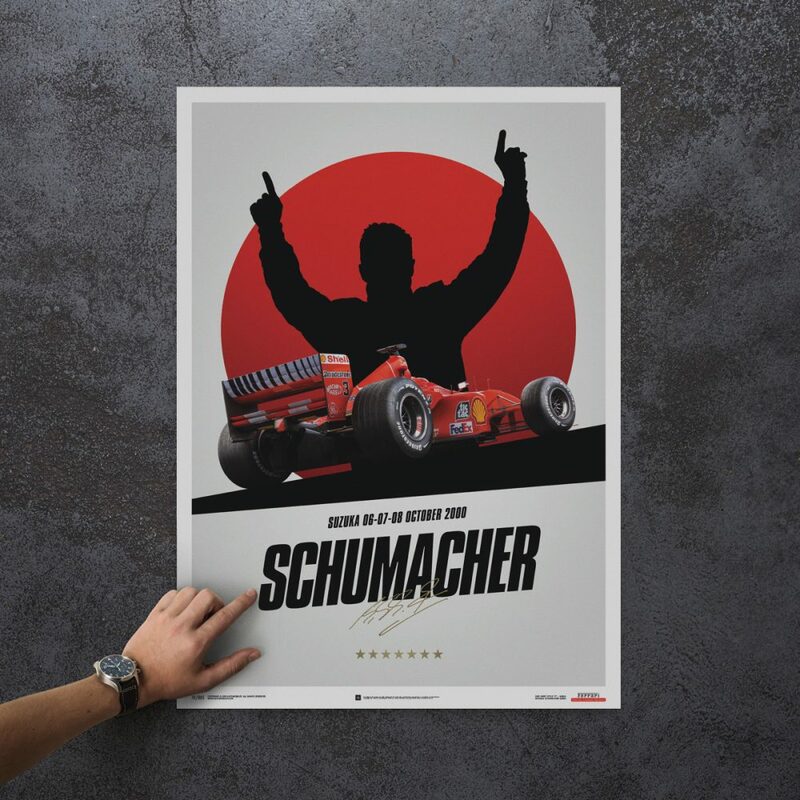 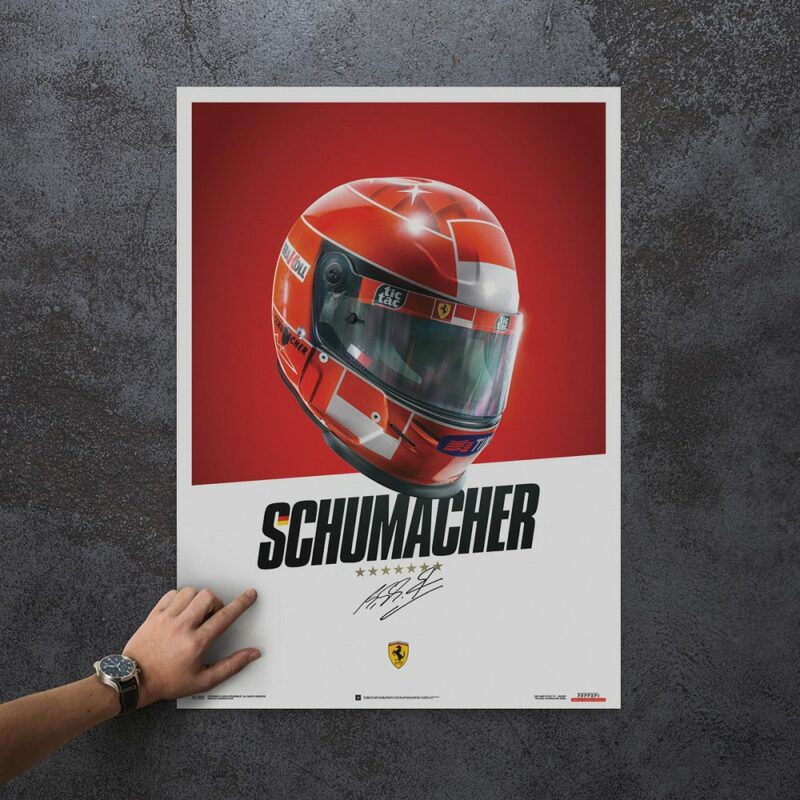 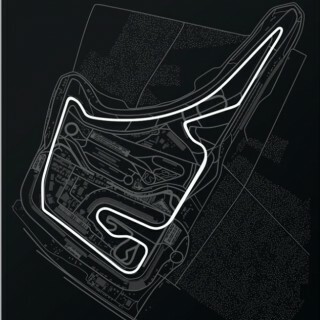 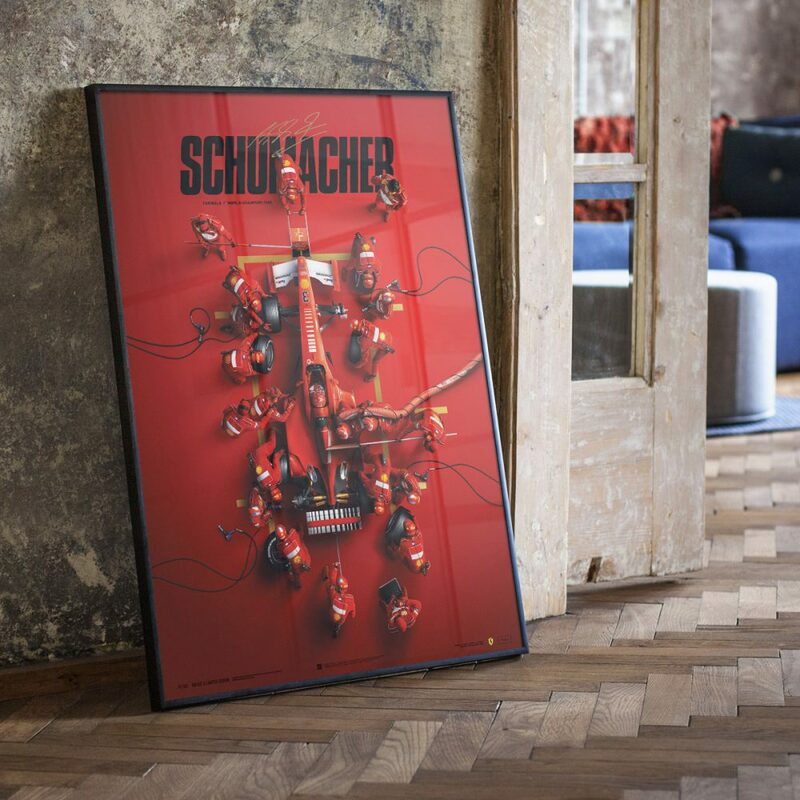 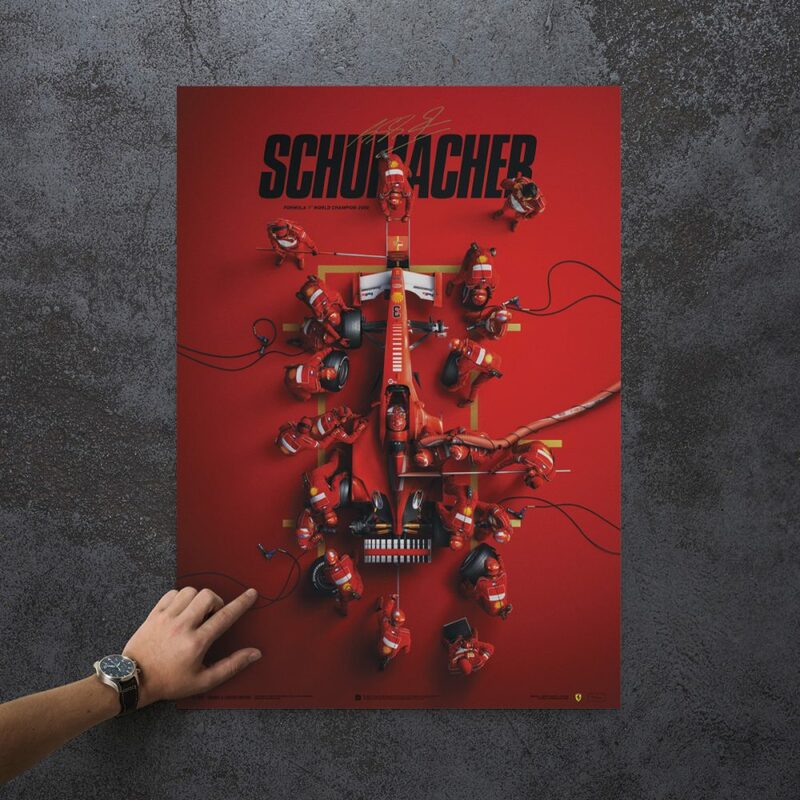 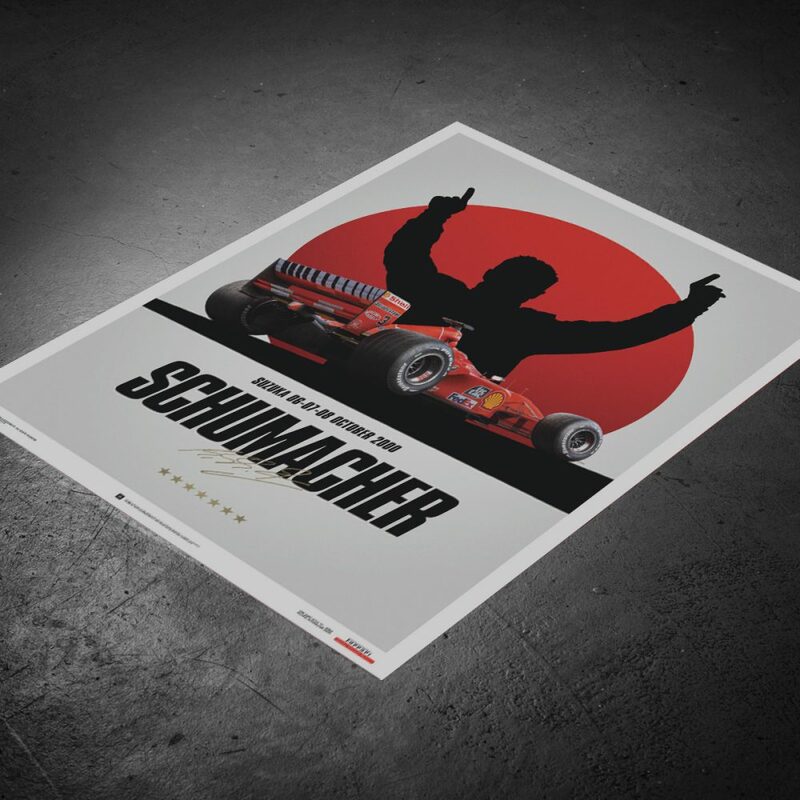 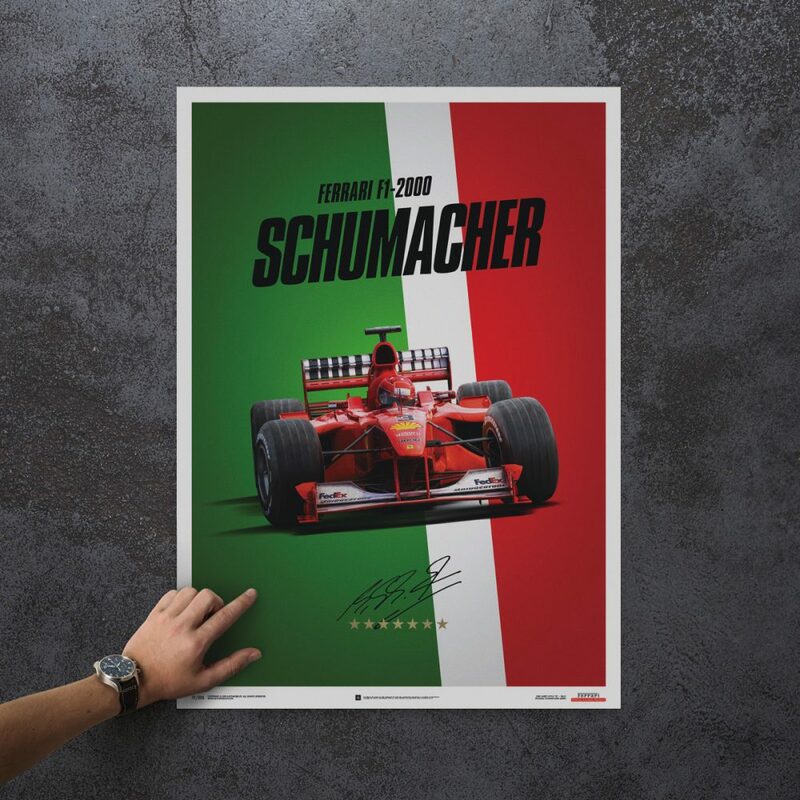 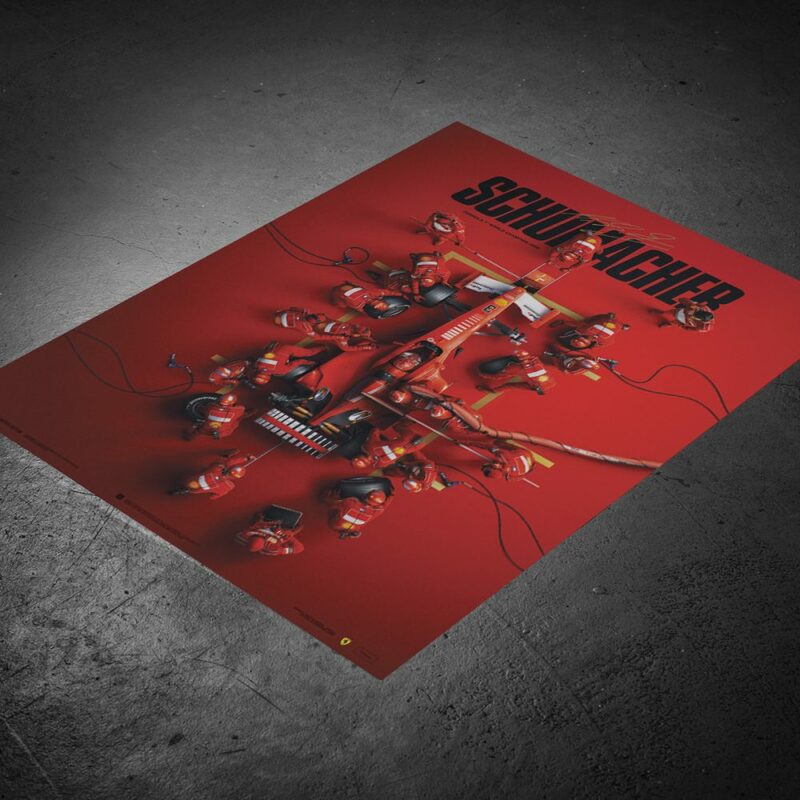 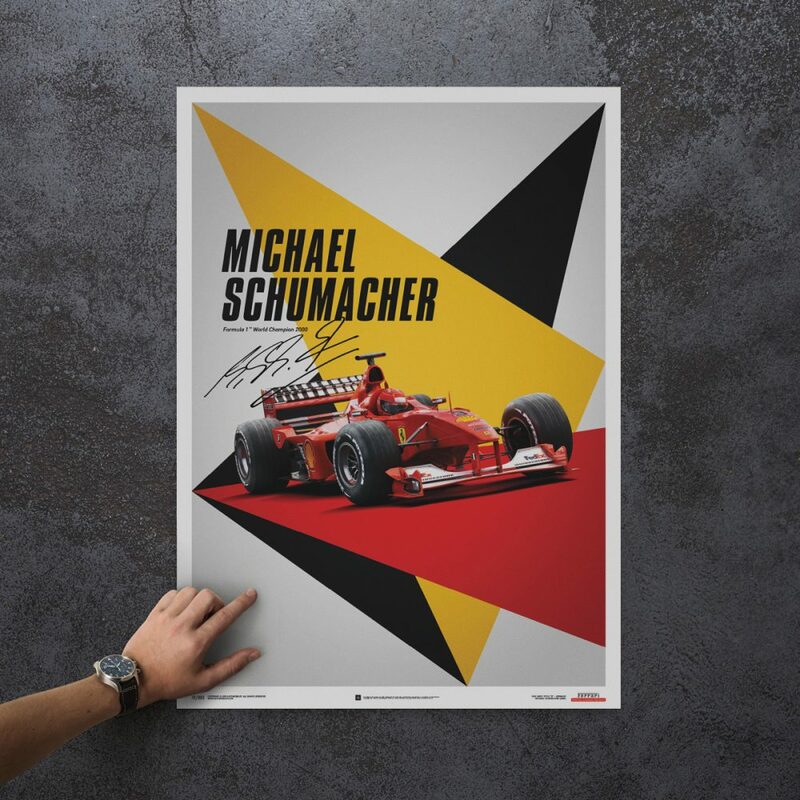 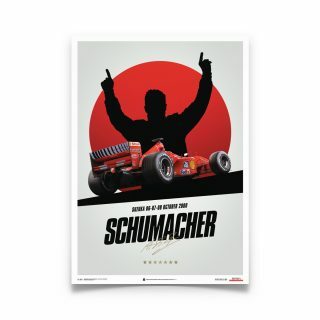 By partnering with the Scuderia Ferrari Formula 1 team and the Keep Fighting Foundation, Automobilist has created this series of artwork to celebrate Michael Schumacher’s championship-clinching win at the 2000 Japanese Grand Prix in Suzuka. 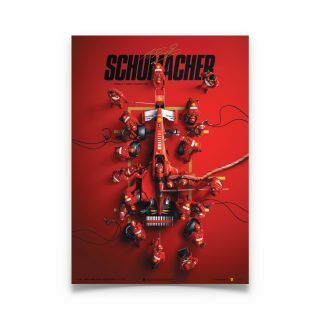 It was the German racer’s third title, but it was the first championship for a Ferrari driver since Jody Scheckter’s in 1979, ending a long dry spell and kicking off a period of dominance for the Schumacher-Ferrari pairing that would take five championship titles in a row between 2000 and 2004. 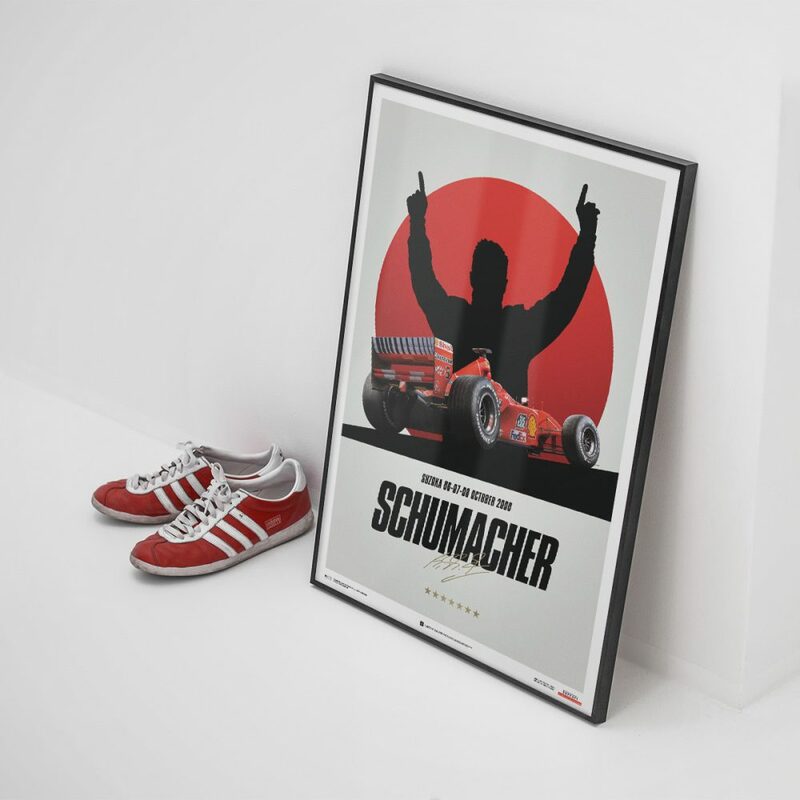 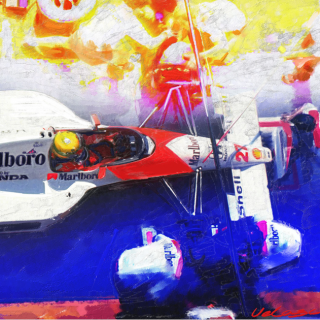 The limited edition print depicts the moment of victory in Suzuka, recreated in Automobilist’s uniquely detailed digital rendering, and the five accompanying prints represent Italy and Germany (origin of car and driver, respectively), Schumacher’s helmet worn during the season, his Ferrari F1-2000 car surrounded by its pit crew, and Japan is represented as the backdrop for the silhouette of celebration, the immediate aftermath of a race that marked the beginnings of a dynastic partnership in Formula 1. 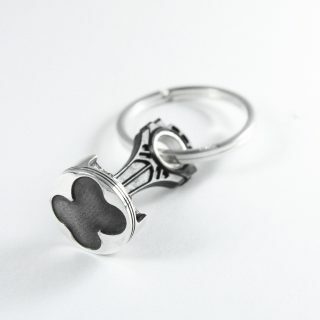 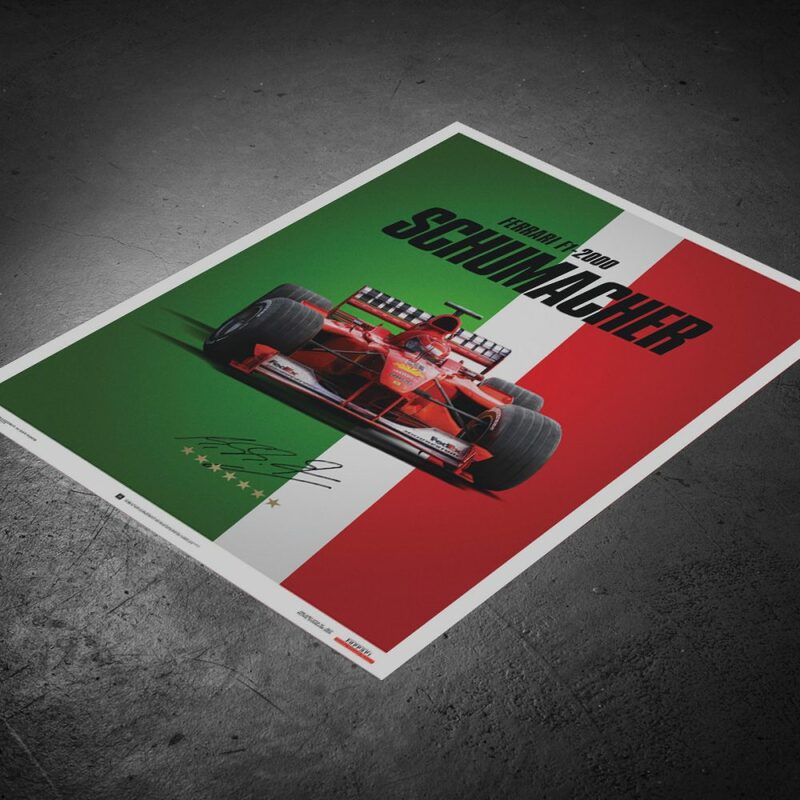 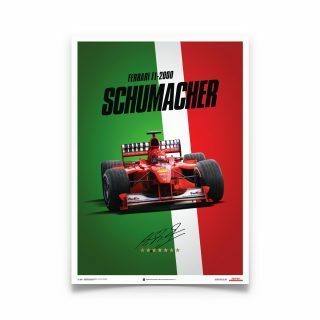 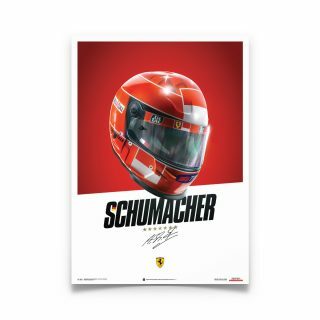 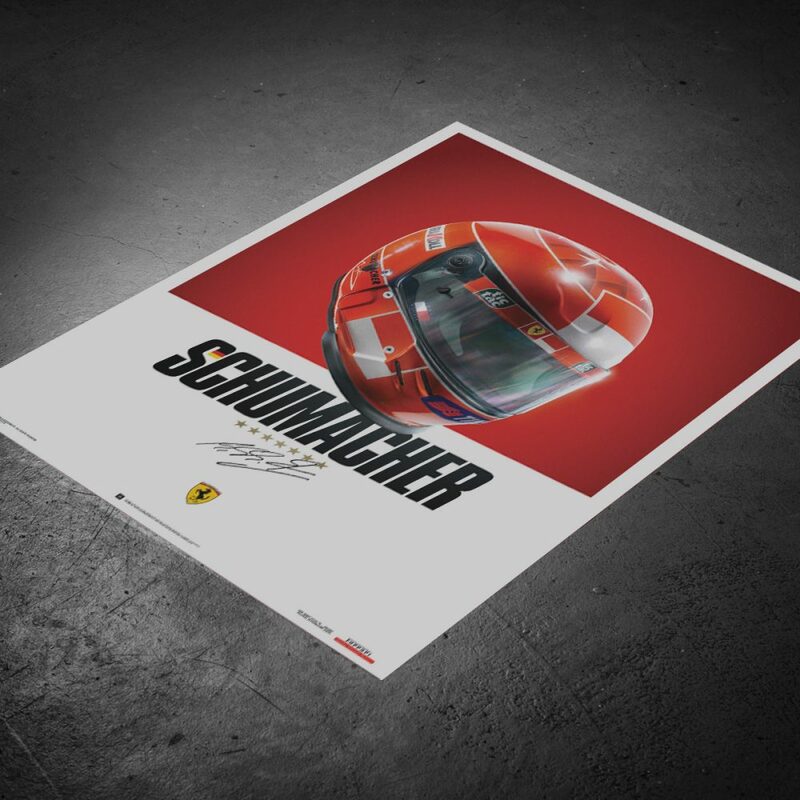 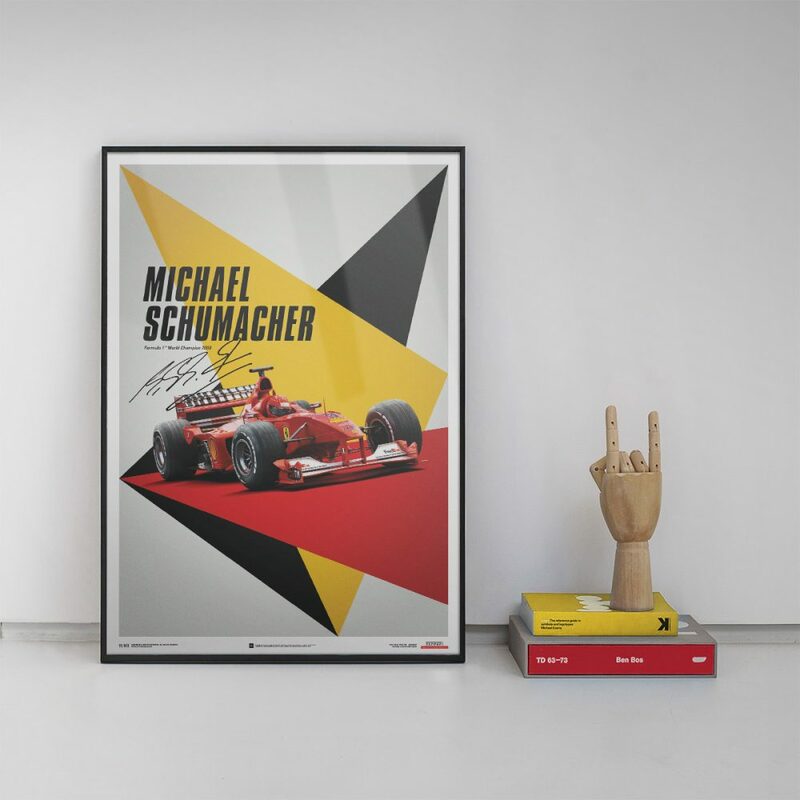 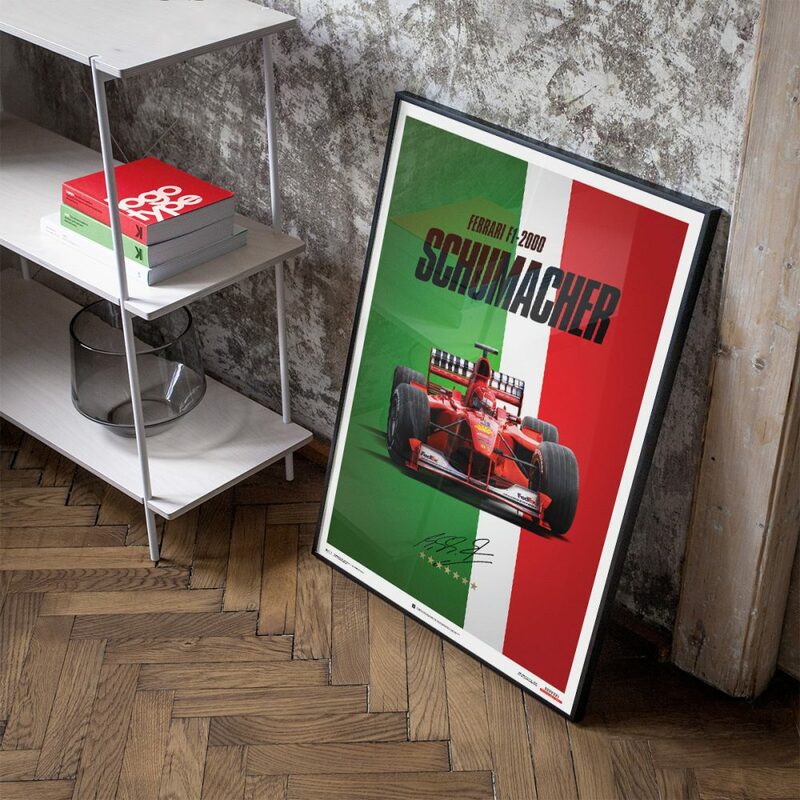 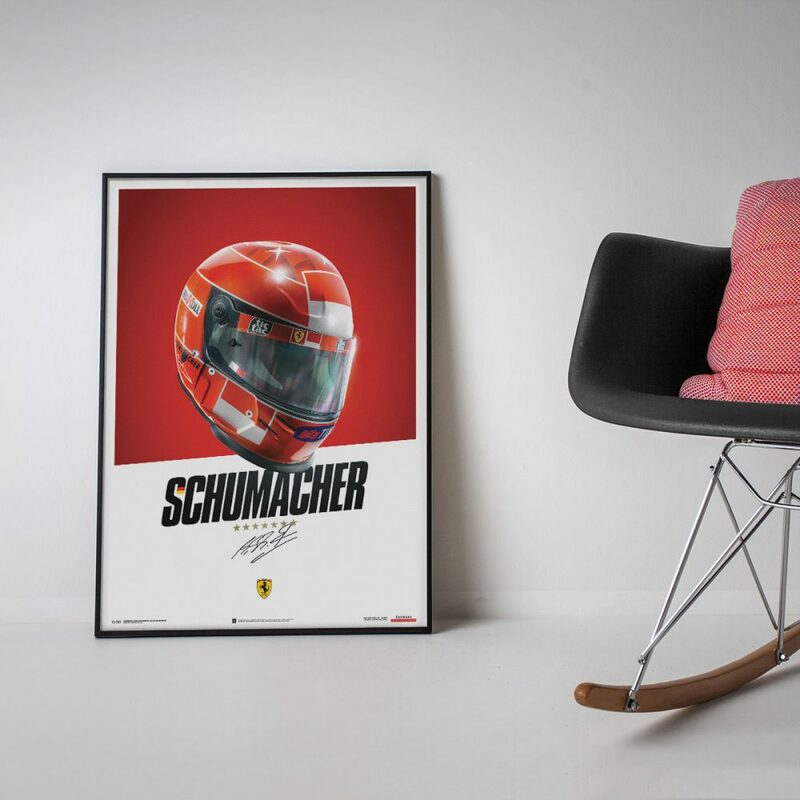 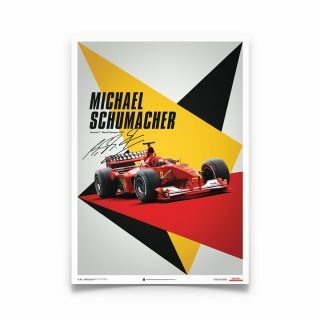 By purchasing any of these pieces, you will donate to the Keep Fighting Foundation, a non-profit organization founded by Michael Schumacher’s family, friends, and colleagues.